If you’re like many people, your home computer is the nerve center of your life. The hard drive is full of data that would be heartbreaking if you lost it. From your family vacation photos to your tax records, you want to do everything possible to protect those files from being lost or damaged. And if you’re like many people, a major part of your file protection strategy comes in the form of backups. Saving your files to a secondary location, such as a cloud-based server or external hard drive goes a long way toward ensuring that if something should go wrong, you won’t lose your important data forever. 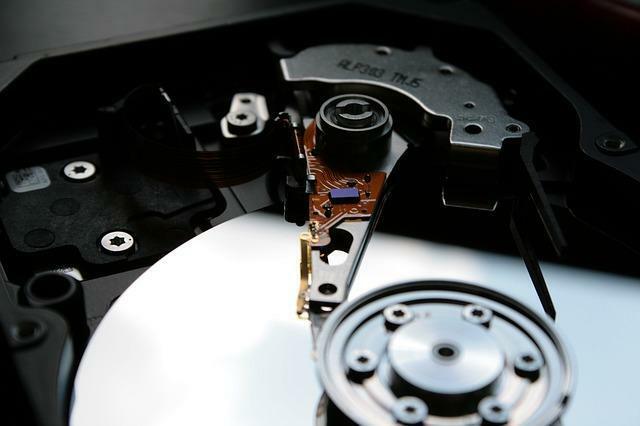 Even if the worst happens and you need to replace your hard drive, you can quickly and easily get back up to speed by transferring your backup data. However, backups aren’t necessarily foolproof. Sure, it’s better than experiencing the panic that comes with thinking you’ve lost everything forever (which isn’t always the case, as the best data recovery software can often retrieve lost files).It’s important to understand the limitations of your backups so you can not only be prepared, but also possibly change your approach to ensure your data is safe. While most corporate networks are backed up daily, ensuring the majority of the files saved are the most recent versions, most home computer users only back up their machines occasionally. The average home computer hard drive is only backed up once a week, if at all. That means if you make changes to files between backups and lose data, the file that you retrieve from the second copy will be the last saved version, not the one with your changes. If you are working on a major project, failing to back up regularly could cost you several hours’, or even days’, worth of work. Imagine this: Your computer fails, and you purchase a new one with the latest operating system and software. You backed up your old machine before replacing it, but now many of your files are unreadable on the new one. While many software companies work to ensure that older files can be opened or managed with newer versions of the software that’s not always the case. Even if you can get the old files open, you might lose formatting or other features. If your computer is stolen or hacked, your backups are only going to allow you to access your files. They won’t protect against unauthorized access to your data, or from file corruption. Regular backups are only a small portion of your overall computer security plan. You still need strong antivirus protection, firewalls, passwords and physical security standards to protect your machine. Despite the limitations, regular backups are still important. Again, if something happens to your computer, you don’t have to worry that irreplaceable photos or important files are lost forever. Identify the most important data (photos, school work, etc.) and copy it to an external hard drive or cloud server. Schedule a full system backup weekly. This will create a backup of your entire computer system that can be used for a recovery later on. Use an external drive, or subscribe to an online service to perform the task for you. Schedule daily incremental backups. You can customize these backups for new files only, everything in a particular program or any other configuration you wish. Close files. Many backup functions will not save files that are open. Performing regular backups is a major piece of the recovery puzzle should something go awry and you experience data loss. However, it’s important to back up your operating system and applications as well to ensure you can recover everything. Ideally, you should have copies of your installation discs as well. While data backups are an important art of any recovery strategy, you should be prepared to use other methods of retrieving data as well. Data recovery software, for example, can retrieve data even from deleted files and help you get running again quickly. Investigate your options before something goes wrong so you’ll be prepared and able to make a full recovery quickly and easily. If the idea of losing important files from your home computer gives you hives just thinking about it, take a look at your backup and recovery strategy and make the necessary changes today. You never know when something could go wrong.